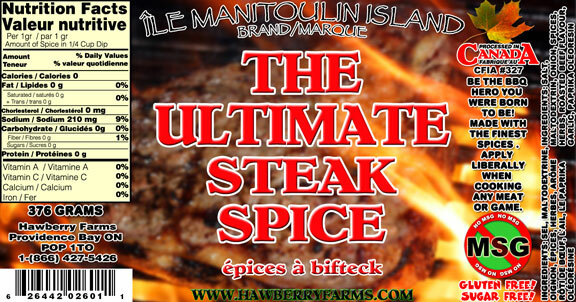 Click the button below to add the The Ultimate Steak Spice to your wish list. Be the BBQ hero you were born to be! Made with the finest spices. Apply liberally when cooking any meat or game. INGREDIENTS: Salt, maltodextrin, onion, spices, herbs, roasted beef flavour, garlic, paprika oleoresin. Adds a splendid flavour. Definitely befitting of it's name.